Warning! 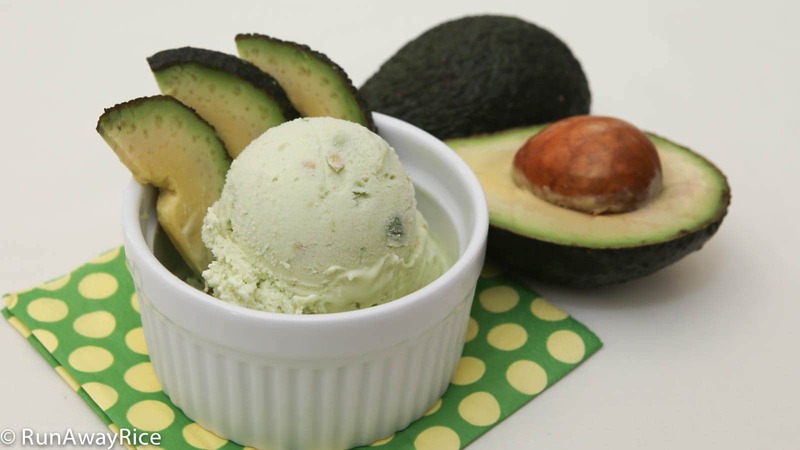 Making homemade ice cream is really easy and a lot of fun. If you end up making the best ice cream, over-indulging and then can’t fit into your skinny jeans, please don’t blame me, LOL! Honestly, I’ve been there. After I bought my ice cream maker and started experimenting with different types of milks, creams and fruits I was seriously making a batch of ice cream every day for weeks. After trying a lot of different recipes and some of my own concoctions, I came up with my top 5 favorite flavors which I am sharing below. Prepare the cream mixture–my Base Recipe is a lightly flavored vanilla. Churn the cream in the ice cream maker for 15 minutes. Add your favorite fruit, candies or other toppings. Churn for 5 more minutes. Freeze for 2-3 hours and allow the ice cream to harden further. The ice cream maker that I am using is a bowl attachment made for the KitchenAid stand mixer. It’s more expensive than the traditional ice cream makers but I love that it works with an existing appliance. 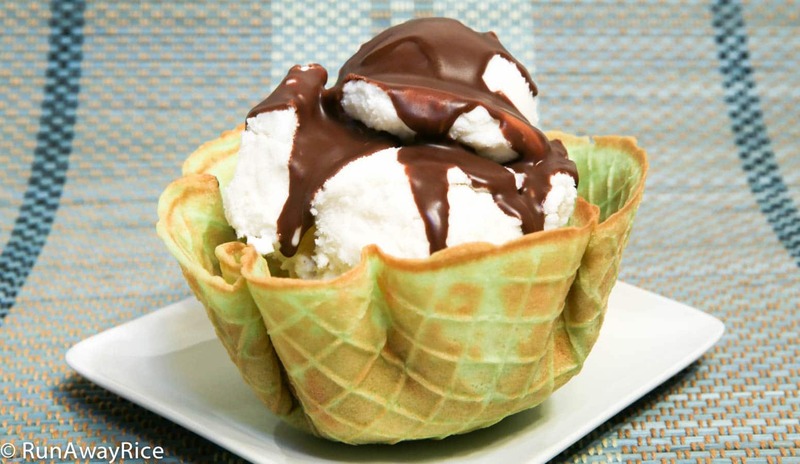 You chill the bowl for 15 hours so that the gel inside the bowl is solid and then you can make the ice cream. You can only make one batch at a time and then have to return it to the freezer but 1 batch makes a generous amount of ice cream. 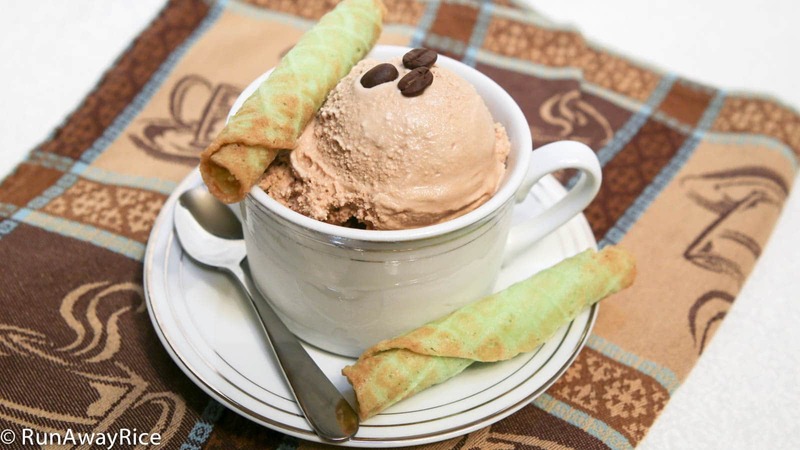 If you don’t have an ice cream maker, try the coffee can method (as demonstrated in the below video). It’s a no-frills, manual way of making ice cream but, surprisingly, it works! This method of making ice cream is a great activity to do with the kiddies. You can teach them about water, ice and freezing temperatures and have some yummy ice cream to enjoy. Want to make the waffle bowl in the above picture? Click here for the recipe. I really like using superfine sugar in this recipe. It dissolves really quickly in the cream/milk mixture. You can buy superfine sugar also called baker’s sugar or you can make it by pulsing granulated sugar in a food processor for a few seconds. Of course, you can just use granulated sugar as well. For a creamy and rich ice cream, I recommend using 3 parts cream to 1 part milk. For the ice cream to have the right consistency and truly be considered ice cream, you need to use real cream. The Base Recipe below uses 1 cup heavy whipping cream and 1 cup half and half. (I use half and half because I always have this in the fridge for my coffee.) Use the products you like–just make sure it’s still 3 parts cream to 1 part milk. For the cream, there’s heavy whipping cream and then whipping cream. The difference is in the fat content. Heavy whipping cream is approximately 36% milk fat and whipping cream is about 30% milk fat. My recipe uses heavy whipping cream but if you want to reduce the fat, use regular whipping cream. You can use all heavy whipping cream to make your ice cream. It is very creamy and very rich. One thing I noticed when I used all heavy whipping cream was that the ice cream was much softer than with the cream/milk combo. If you’re looking to cut the fat calories even further, use all half and half (half milk and half cream). This makes a decent ice cream and the consistency is closer to a sorbet and still quite good. Freeze the ice cream maker bowl in advance for 15 hours. In a bowl or measuring cup, combine the heavy whipping cream, half and half, sugar and vanilla extract. Whisk together until the sugar is completely dissolved. Pour into the ice cream maker bowl. Churn on Speed 1 for 20 minutes. Store in an air-tight container and freeze for 2-3 hours. Remove the tops of the strawberries and then cut into small pieces. Pulse the fruit in a food processor for about 10-15 seconds. Follow the directions for making the Base Recipe. 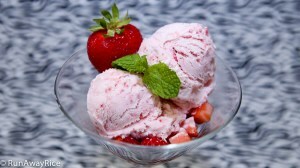 Add the strawberries during the last 5 minutes the ice cream is churning. Remove the skin and then cut the mangoes into small pieces. Pulse the fruit in a food processor for about 10-15 seconds. 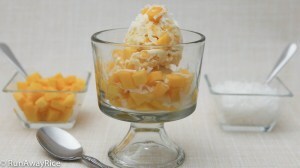 Add the mangoes during the last 5 minutes the ice cream is churning. Cut the jackfruit into small pieces. Pulse the fruit in a food processor for about 10-15 seconds. 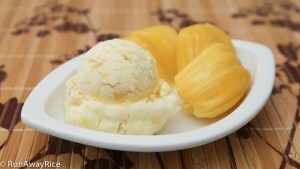 Add the jackfruit during the last 5 minutes the ice cream is churning. Pit the avocados and scoop out the flesh. Pulse the fruit in a food processor for about 10 seconds. Add the avocados during the last 5 minutes the ice cream is churning. Combine the instant coffee with hot water and stir to dissolve. Place in the refrigerator and chill for 15 minutes. In a bowl or measuring cup, combine the heavy whipping cream, half and half, sugar, vanilla extract, coffee and condensed milk. Whisk together until the sugar is completely dissolved. This has been my go to recipe for ice cream. It’s so delicious. Can you substitute the sugar with any sweeteners in the base recipe please. Thank you! You can use any powdered or granulated sweetener, honey or agave syrup. Optionally, use fresh or frozen fruit to add natural sweetness. Good Luck! – Vanilla and Assorted Fruit Ice Creams | RunAwayRice, truly love it. Thanks for stopping by. I hope you’ll give the ice cream recipes a try. It’s a really nice treat for the warmer months! Hi Trang, I would like to try your ice cream recipe, can I wish all the ingredient on stand mixer/hand mixer instead of put in the small coffee container that you share with us. Hi Ann, you can place the bowl of cream inside a larger bowl filled with ice and rock salt. Use your hand mixer to blend the cream until it’s stiff. Good Luck and let me know how it turns out for you. L rất phục Trang đó. Technique rất dễ mà không ai nghĩ ra hết. L sẽ try và cho Trang biết nha. Love it !!!!! Cám ơn Chị. Chỉ là tình cờ T mua cái attachment làm kem của máy KitchenAid vì nhà ai cũng thích ăn kem. Làm thử đi Chị, rất dễ. T nghĩ là Anh và các cháu sẽ thích, nhất là làm ở nhà mình biết mình cho gì trong đó. Chúc Chị thành công!